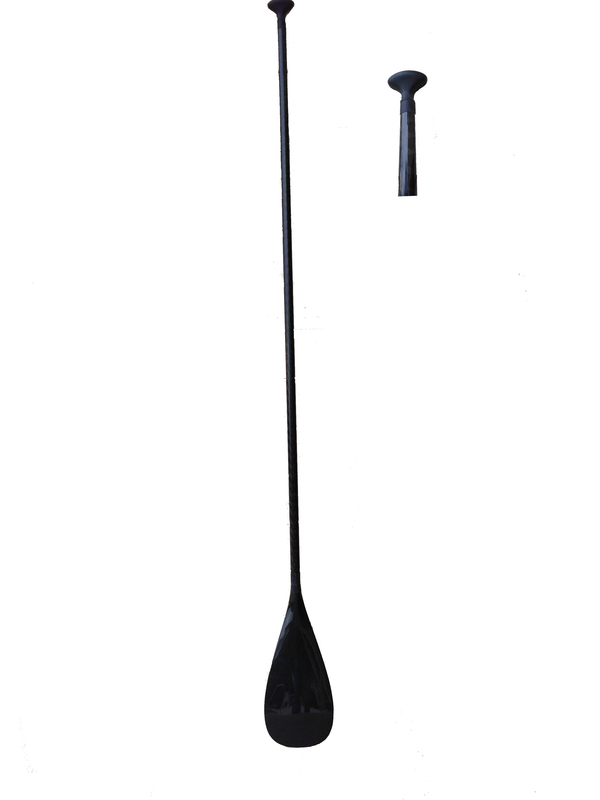 The Hui Hui All Carbon stand up paddle offers control, a sleek design and is sure to maximize your paddle stroke. The Hui Hui All Carbon paddle has been refined to enhance performance during the paddle's entry into the water, the power stroke, the paddle's exit, and the recovery stroke. A slightly curved tip makes a clean, fast catch in the water perfect for any condition. The blade's thin profile creates a clean, fast exit from the water, and well-balanced paddle offers simple recovery. Being extremely lightweight the carbon shaft offers a bit of flex to increase comfort on every stroke. The shape of the handle offers a 40° canter from the shaft which allows the grip to fit nicely in the palm of your hand and emphasizes an effortless stroke.The 10° blade angle provides maximum bite in the water to glide you through the water with easy. Hui Hui SUP paddles are light, super tough and work great in big surf or just gliding.